There is mention of ‘nine green gardens’ on this site in a poem dating from medieval times, but it is not until the days of William ap Thomas or Sir William Thomas, knighted by Henry VIII, that the history of Aberglasney is better documented. He became the first High Sheriff of Carmarthenshire in 1541-2 and added the Aberglasney chapel to Llangathen Church. Although we know little about the way the house here looked during his day it was grand enough to catch the eye of a powerful bishop fifty years later. 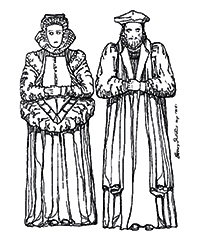 1541 - Sir William ap Thomas becomes High Sheriff of Carmarthenshire. 1594 - Anthony Rudd consecrated Bishop of St David’s. It was during the reign of Queen Elizabeth I that the estate was bought by an ambitious Bishop. Anthony Rudd was consecrated Bishop of St David’s in 1594 and is credited, along with his son Sir Rice Rudd, with having rebuilt Aberglasney and creating the now famous Cloister Garden. In 1670 the house was assessed for ‘Hearth Tax’ and with 30 hearths it was one of the biggest in the county. But Sir Rice had overspent on the renovations, so with debts mounting, his grandson, also Sir Rice Rudd, was forced to mortgage the estate. C1595-1600 Bishop Rudd purchases Aberglasney. 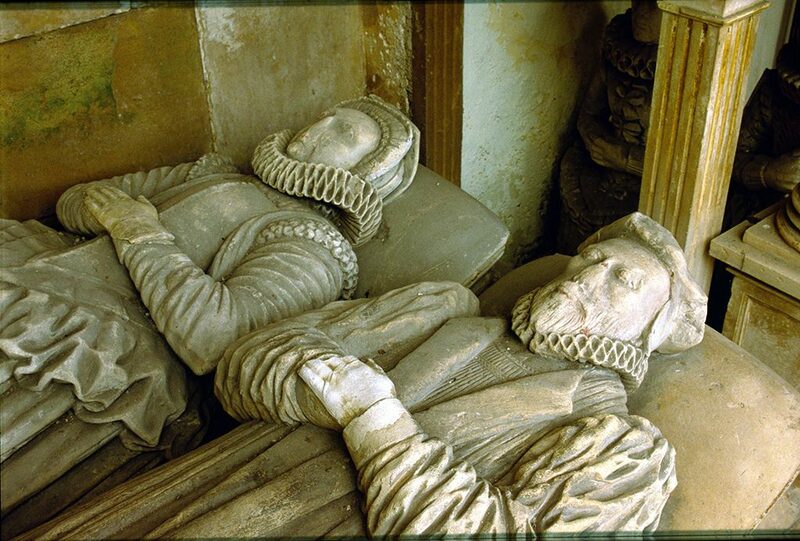 1614 – Bishop Rudd dies. 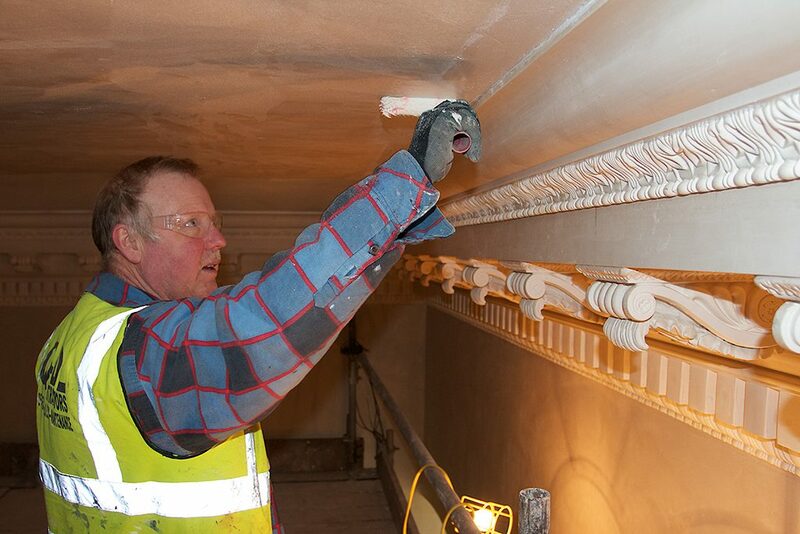 Sir Rice Rudd (1st Baronet) continues building work. 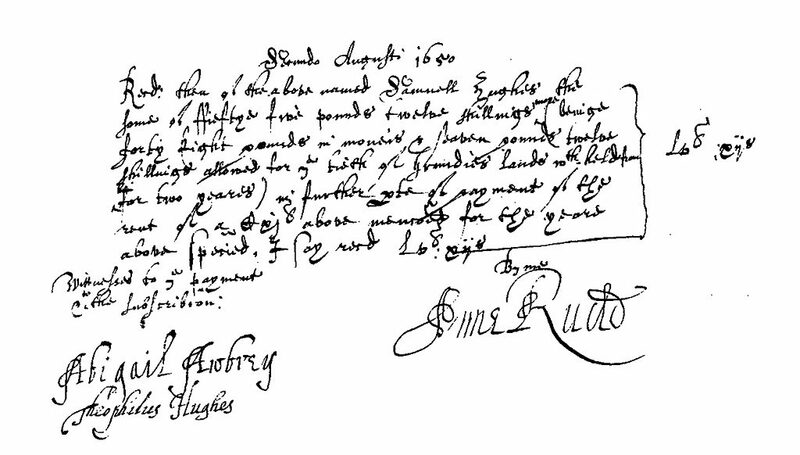 1664 – Sir Rice Rudd dies in severe debt. c1682 – Sir Rice Rudd (2nd Baronet) mortgages Aberglasney. 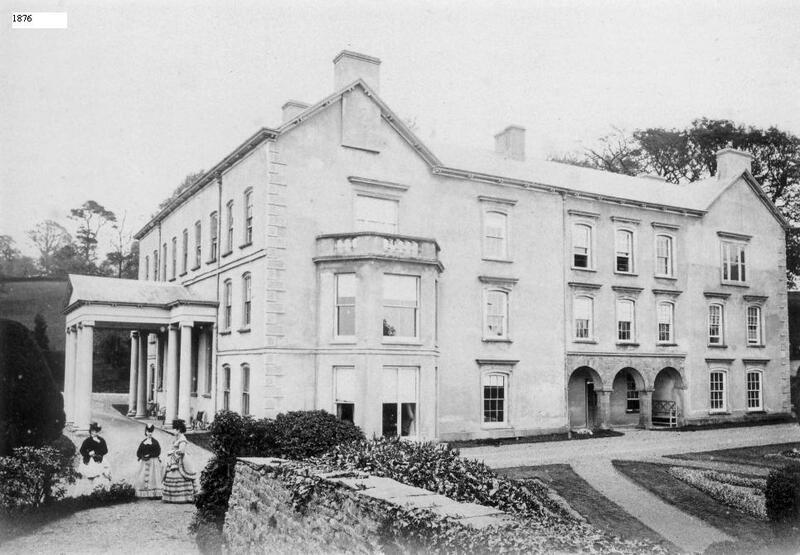 Aberglasney becomes the home of the Dyer family after the successful Carmarthenshire lawyer Robert Dyer purchases the estate. 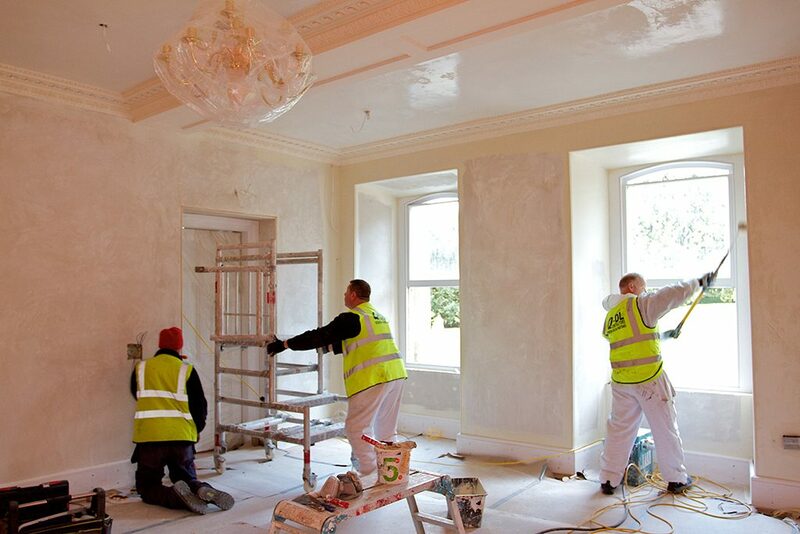 He is responsible for substantially remodelling the house in the fashionable Queen Anne style of the day. He left most of the gardens untouched save for removing the forecourt wall which was originally connected to the gatehouse but that now stands alone as a garden feature. The remarkable Yew Tunnel also began its life, as a hedge. 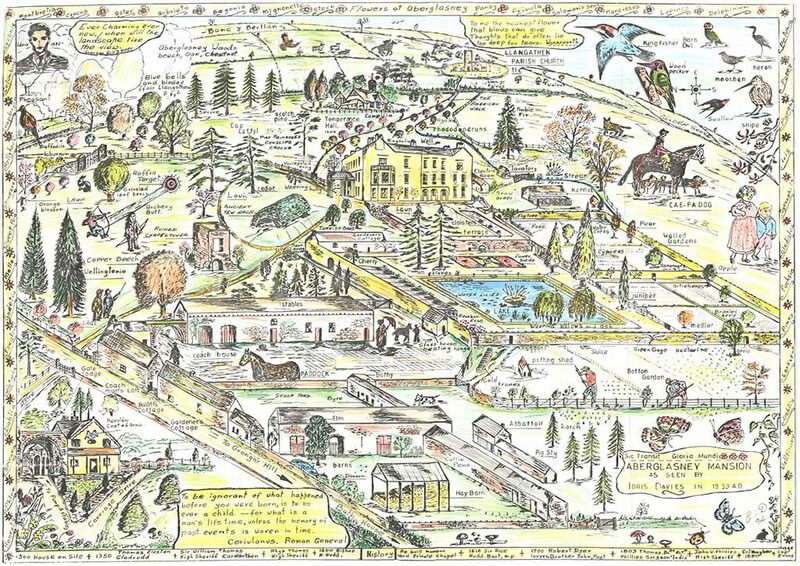 Robert’s second son was John Dyer a notable landscape poet whose poems ‘Grongar Hill’ and ‘The Country Walk’ describe the beautiful scenery of the Tywi valley. In time, the Dyers too ran into debt and put the estate up for sale in 1798. 1710 – Estate is purchased by Robert Dyer. 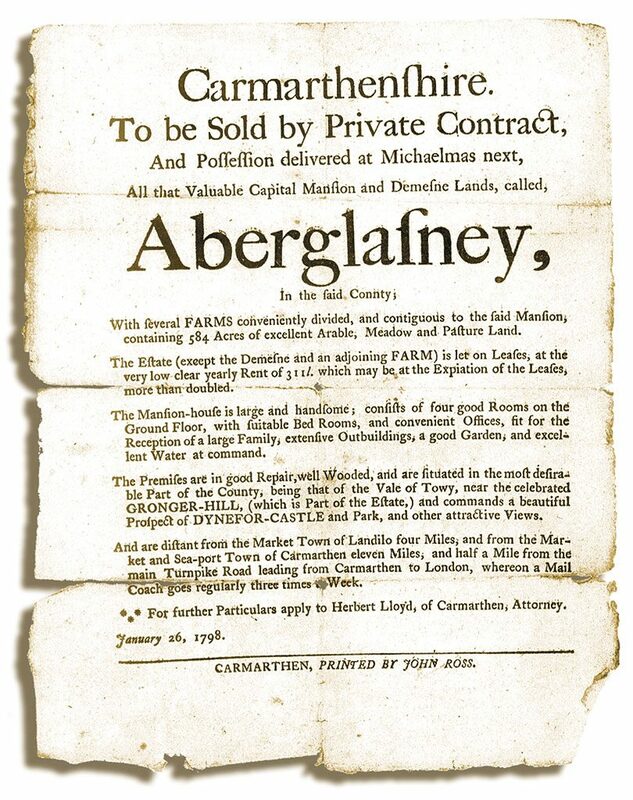 1798 – Aberglasney is advertised for sale complete with 584 acres. The poet’s pride, the poet’s home…. For ever pleasant, private, neat. Aberglasney is home to the Phillips and Walters Philipps families during days of Regency and Victorian splendour and Dickensian characters. This is the century when the external appearance of the mansion took on its present form: the portico and bay windows were added and the roof-line altered. Thomas Phillips bought Aberglasney on his retirement from the Honourable East India Company, where he had risen to the role of Head Surgeon. When he died childless Aberglasney was left to his sister’s son John Walters, who tacked on the surname Philipps, although spelt differently. 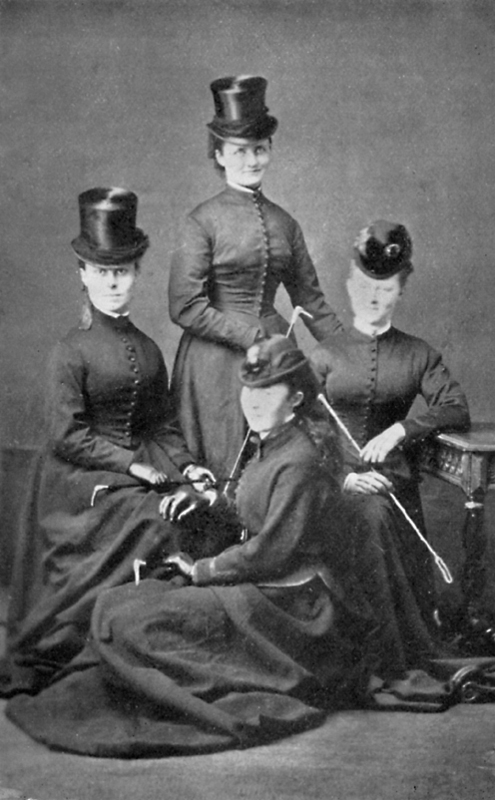 It was John Walters Phillips granddaughter Marianne Emily Jane Pryse, who became the heiress. 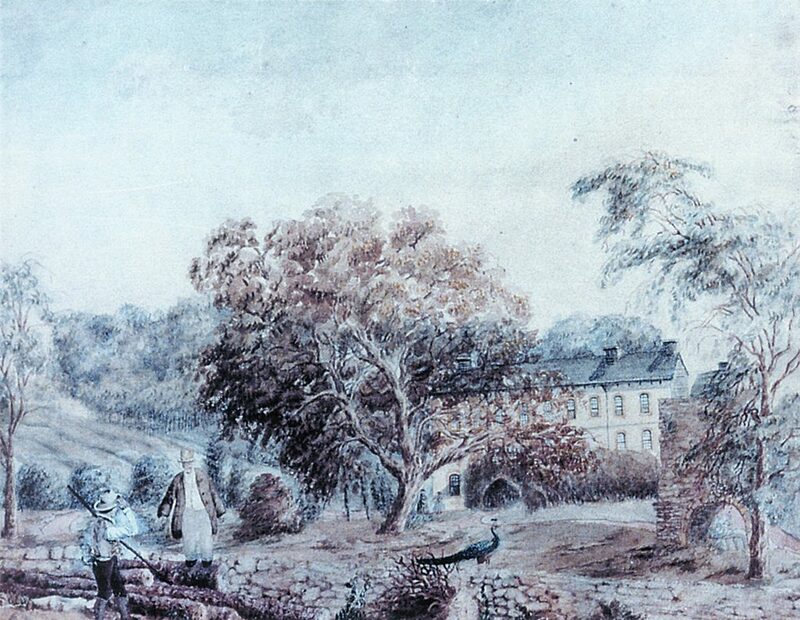 1803 – Estate is sold to Thomas Phillips. 1824 – Death of Thomas Phillips, Aberglasney passes to John Walters (Philipps). 1867 – Death of John Walters Philipps, Aberglasney passes to Marianne Emily Jane Pryse. 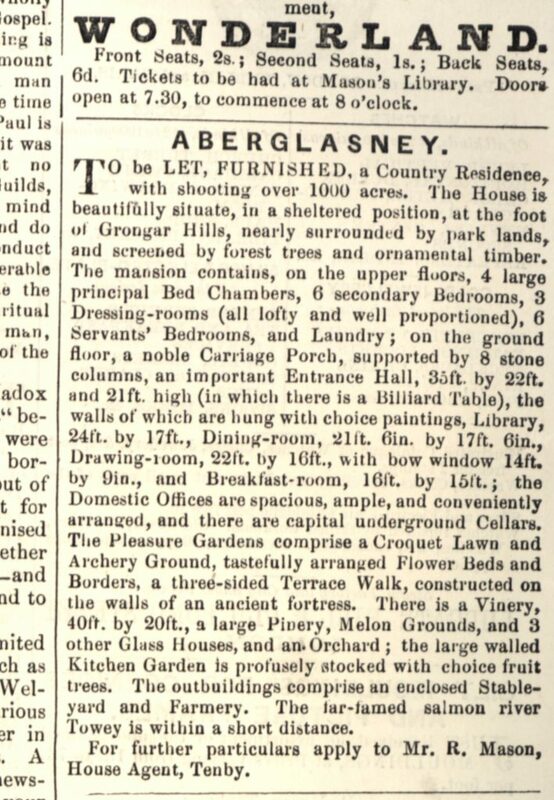 1872 – House advertised to let. Marianne married a young soldier, Charles Mayhew and Aberglasney was let out during most of their married life. However on his retirement in 1902 they returned to Carmarthenshire. Colonel Mayhew is best remembered for his fierce teetotalism and the Mayhews held Temperance rallies and gave Llangathen its Temperance Hall. When Colonel Mayhew died his widow left for London, where she lived for the next 30 years. When Mrs Mayhew died the property devolved through her father’s second marriage into the Pryse-Rice family and to Eric Evans. But Eric Evans died aged just 30 and his son’s trustees decided that the property was not economically viable, or maybe even unlucky. The estate was split up, and David Charles a Carmarthen lawyer bought the house and farm. Another sale took place in 1977 fragmenting the estate further. Moments of glory but decades of decline – this was a century that saw the fragmentation of old estates and the demise of many a country house. 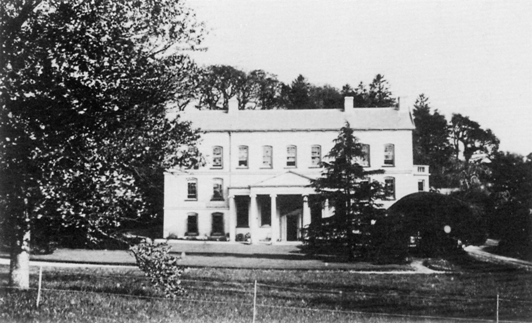 1902 – Colonel and Mrs Mayhew take up residence at Aberglasney. 1908 – Mrs Mayhew leaves Aberglasney following the death of her husband a year before. 1939 – Death of Mrs Mayhew, Aberglasney passes to Eric Evans. 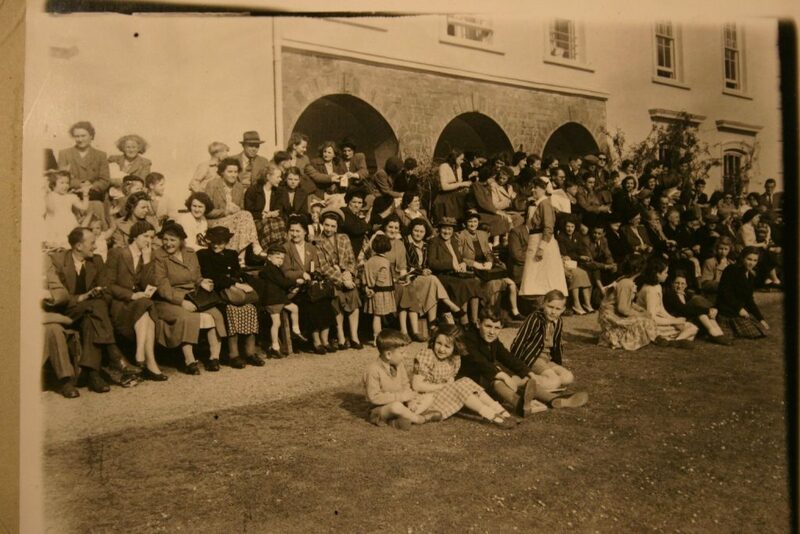 1939 – 1945 – Aberglasney is requisitioned by the Army. 1950 - 1954 – Following the death of Eric Evans and estate split, the house is purchased by David Charles. 1977 – Aberglasney is sold again. 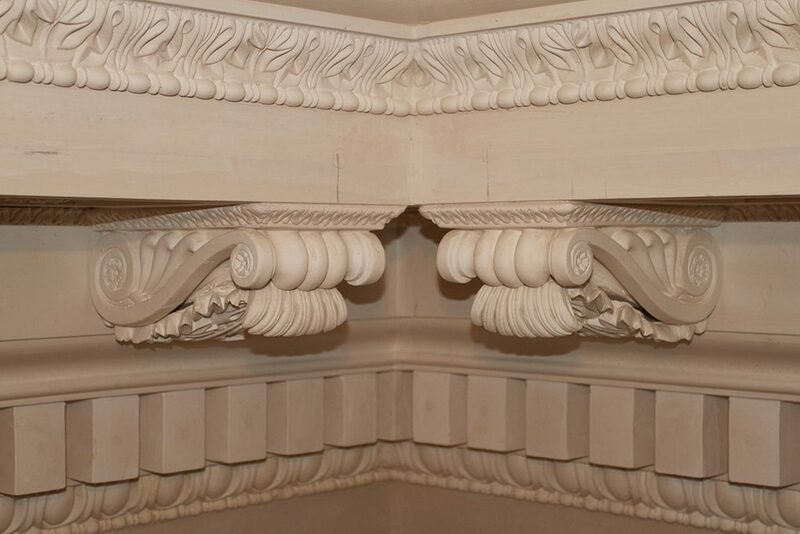 Uninhabited, neglected and vandalised, Aberglasney was on the brink of collapse when it was rescued from oblivion in 1995. The house and gardens were bought by the Aberglasney Restoration Trust, the money donated by an American benefactor – Frank Cabot. 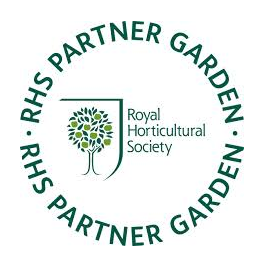 Thanks then to the generosity of individual donors, trust funds, charitable donations and grant money from many statutory bodies a tremendous amount of work was done in a very short time. Aberglasney finally opened to the public on the 4th of July 1999, restoration work has however been on-going since this date, with the completion of the ground floor of the mansion in Spring 2013. 1995 – Aberglasney Restoration Trust purchases the house and gardens. 1999 – Aberglasney Gardens opens to the public. 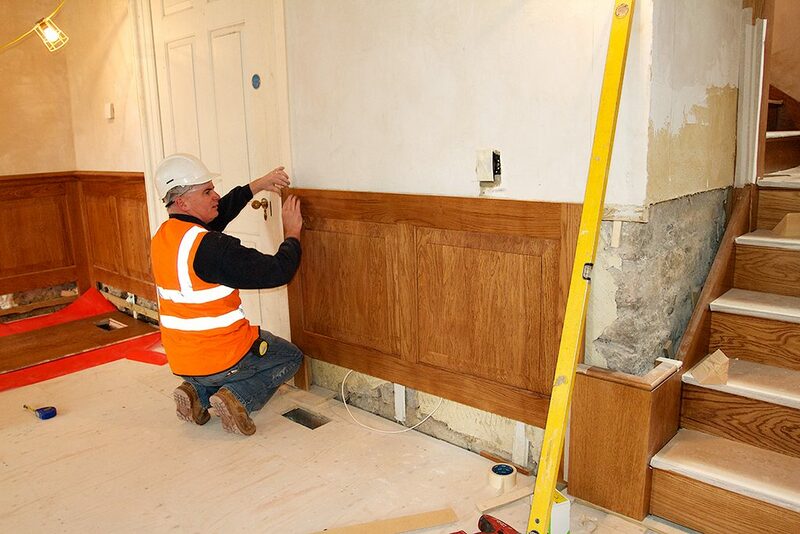 2013 – Restoration of the ground floor of the mansion is completed.